Umergency is the one spot solution for all emergency issues like health, secure platform for students and family relatives. This application supports to direct for any emergency occurred at the time of outside. Nowadays everyone in today's world is fear of incidents happening in natural or emergency needed because of criminal society. However, Umergency came with solutions to provide safety and to help user friends and relatives from this emergency circumstance. They have a strategy to support victims faced any health or emergency issues with immediate response in critical situations. They're working to handle the problems such as Personal secure, Medical Accidents, Roadside support, Home Safety Umergency provides students, families,and colleges to rest comfortably, the organization always asks for a range of One Touch active services. The client came up with the idea to develop an app to help students and family members if they want help from at the time of emergency or in health problem in the sudden mood. The client decided to support this problem of users. He had a plan for a mobile app where the students are going to college universities and family member going outside for their work activities so our client thought want to connect with the supporter who can take care of them. He approached Fusion Informatics with this marvelous thought to implement the best way for students and family relatives make their life comfortable. He needs to develop an app for both Android and iOS devices.He gave the concept of the app to allow users to alert the emergency services at the time of distress or health with one tap. He wants to implement GPS location to track the details and sends messages to emergency services and selected persons within SMS option. Client wants to enable college students and their families by installing the control of information in their support when they require it most. 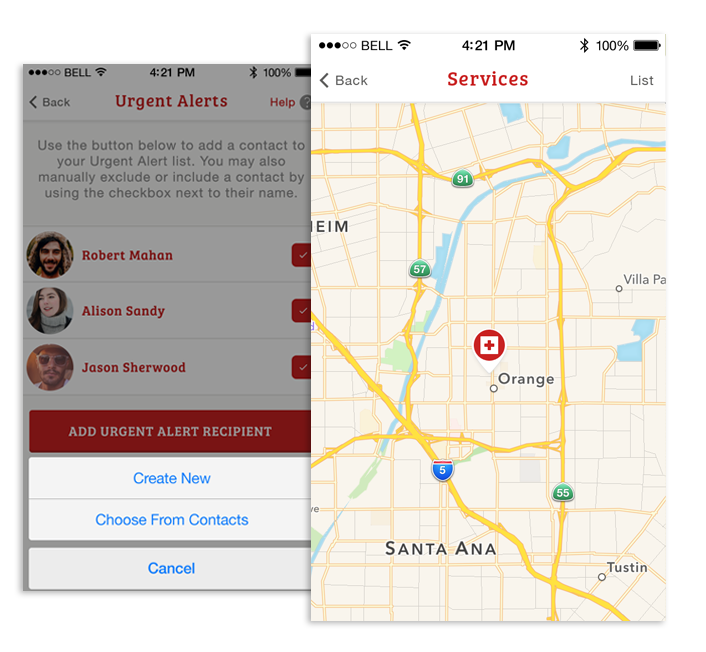 The app allows the user to alert on emergency services in any case they needed with a single click. GPS location features added to track the user details and option to send SMS to the selected person they needed to inform. An added feature of fake calling to help the user to escape from stalkers. It allows the user to direct students to campus officials and trusted providers.